The common interests shared by China and Malaysia far outweigh the "very few differences" between the two countries, said visiting Chinese State Councilor and Foreign Minister Wang Yi on Tuesday. 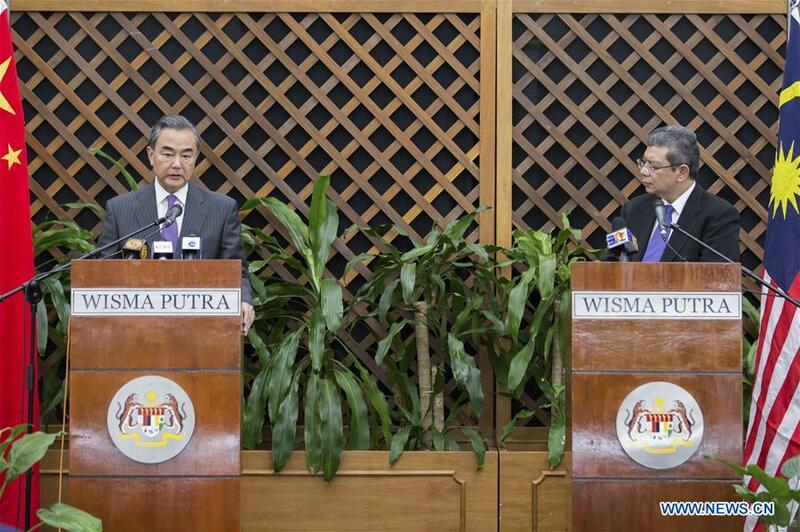 Wang made the remarks at a joint media briefing with Malaysian Foreign Minister Saifuddin Abdullah. China attaches great importance to its bilateral relations with Malaysia and is willing to maintain friendly policies towards Malaysia to deepen cooperation and benefit people of both countries, said Wang, adding Sino-Malaysian relations are of "strategic significance." Wang said China respects the choices made by the Malaysian people and supports Malaysia in following a path of development that suits its own national conditions. "We have confidence that under the leadership of Prime Minister Mahathir (Mohamad), the people of Malaysia will stay united and achieve new glories and Malaysia is bound to play a more active and important role in regional and global affairs," he added. Wang noted that another very important task for his visit to Malaysia is to make preparations for Mahathir's upcoming official visit to China. He described the prime minister as "an old and good friend of the Chinese people." "We believe that during his visit to China, there will be even stronger mutual trust built between leaders of our two countries and they will also jointly map out a new blueprint for the mutually beneficial cooperation between the two countries," he said. Wang also expressed his appreciation for Mahathir's support and participation in the China-Proposed Belt and Road Initiative. 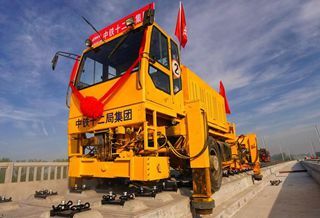 The joint efforts of China and Malaysia, as natural partners in undertaking the initiative, will open up even greater prospects for mutually beneficial cooperation between the two countries and contribute to common progress and common prosperity, he said.